Holsters And Stuff are currently offering the excellent Leather Paddle OWB Revolver Holster with Retention Strap Fits Ruger Single Six Series 22 LR/ 22 WMR 6.5" BBL, R/H Draw, Brown Color #1452# for a brilliant price. 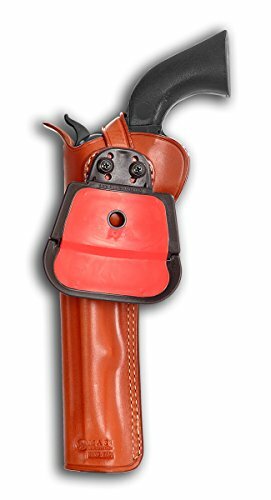 Don't miss out - buy the Leather Paddle OWB Revolver Holster with Retention Strap Fits Ruger Single Six Series 22 LR/ 22 WMR 6.5" BBL, R/H Draw, Brown Color #1452# here now! 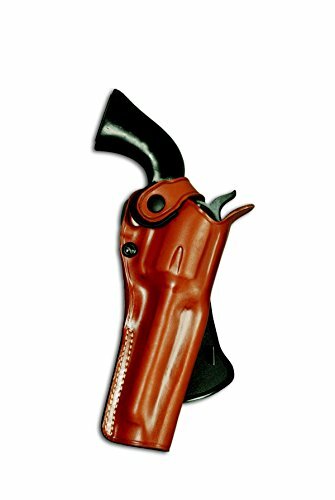 Masc has been handcrafting natural leather and cordura holsters for over twenty years. Masc products are favored by security employees since of their useful style and safety features.Thanks to its 3,2-4,0 mm. 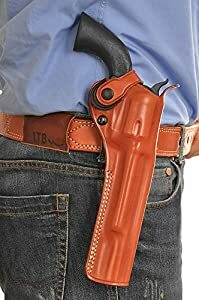 Masc Holster's products are beautifully choosen from nature-friendly, odor-free, extremely best quality leathers and processed with anti-carcinogenic chemicals certificated by international authorities. Adjust to wear on the Strong Side or CROSS-DRAW USBR Made from Premium Genuine Leather. Hand-made molding for perfect fit. 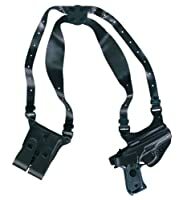 The retention strap helps keep the gun securely in place. Retention strap has a snap closure on the front of the holster. 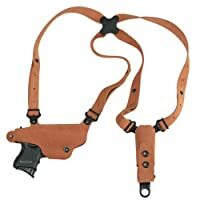 Plastic tab on the holster strap provides fast pulls. Adjustable tension screw for customized retention. Sight rail space to protect the leather and muzzle sight. Has a moving polymer paddle to adjust the carrying angle. 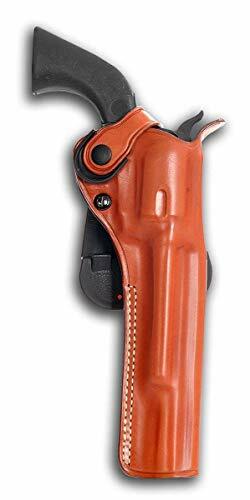 Using 2 screws on the polymer paddle the holster can be easily switc between horizontal and vertical stances. Paddle design makes it easy to put on and off. May be used with or without a belt. 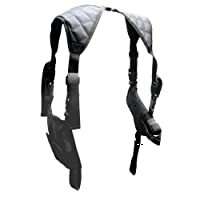 Fits up to 4.5 - 5 cm belts. 3 BUSINESS DAY DELIVERY TIME BY FEDEX/UPS.